Obituary for Dolores L. (Patterson) Pulcini | Giunta-Bertucci Funeral Home Inc.
Dolores L. Pulcini, 86, of Upper Burrell Township, passed away Wednesday, March 27, 2019, in her residence, in Upper Burrell Township. She was born Dec. 26, 1932, in Sardis, Pa., daughter of the late Clayton Charles Patterson and Hazel (Silvis) Foraker. 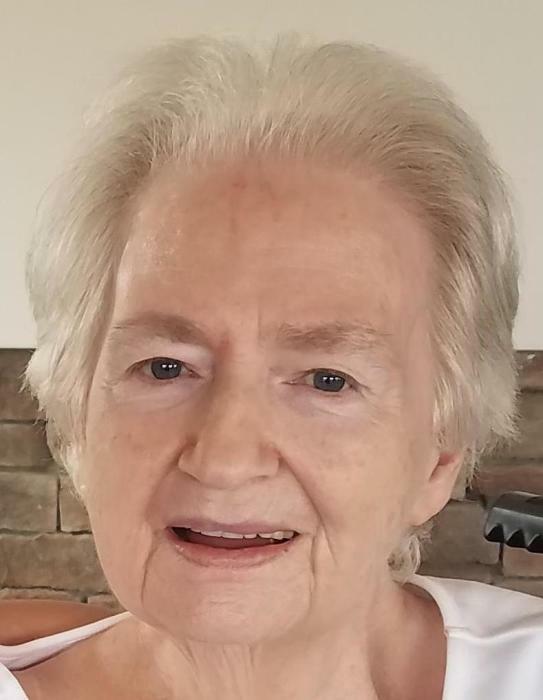 She was the wife of the late Donald E. Pulcini, who passed away Feb. 28, 2019. In addition to her parents and husband, she was preceded by three brothers and two sisters. She loved her children, grandchildren, great-grandchildren, her dogs, granddogs and the Pittsburgh Pirates. She loved all holidays and anything to do with family gatherings. She enjoyed the simple things in life, like sitting on the porch with Pap, Sunday dinners with the family and squeezing her grandbabies. She was the keeper of the snacks! She is survived by four daughters, Janis Pulcini, of Upper Burrell, Theresa (Thomas) Hand, of Oklahoma Borough, Patricia (David) Twidwell, of Upper Burrell, and Donna (Rex) Gregg, of Upper Burrell; and nine grandchildren, Andrew (Amy) Twidwell, Laura Twidwell, Lisa Twidwell, Julie (Mike) Twidwell, Amy (Greg) Artman, David (Amanda) Twidwell, Nicholas Twidwell, Linsay Sutara and Annie (Eric) Massey. Also surviving are six great-grandchildren; and nieces and nephews. A Mass will be celebrated for both Dolores and her late husband, Donald, who died Feb. 28, 2019, at 10 a.m. Saturday, March 30, 2019, in Mt. St. Peter Roman Catholic Church, 100 Freeport Road, New Kensington, PA 15068. Arrangements have been entrusted to the GIUNTA-BERTUCCI FUNERAL HOME INC., 1509 Fifth Ave., Arnold, PA 15068, JohnPaul Bertucci, owner/supervisor. Burial will be private. To leave an online condolence, visit www.giunta-bertucci.com.